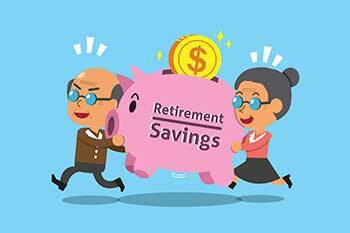 How to allocate money in NPS for retirement planning? The returns on the NPS scheme is market-linked. A person should allocate his money into three different asset classes based on his risk taking capacity and post-retirement needs. National Pension Scheme (NPS) is a defined contribution scheme initiated by the Government of India in January 2004. Initially, only Government employees were allowed to subscribe to the scheme. But, from the year 2009, every citizen of the country is allowed to invest in the NPS. The NPS helps an individual to invest regularly in a pension account during his working period. This helps to build a retirement corpus which acts as a regular source of income post-retirement. Tier 1 - The Tier 1 account is a retirement pension account where an investor is not permitted to withdraw funds before retirement. The minimum contribution required to the tier 1 account is Rs.6000 per annum or Rs. 500 per month. There is no maximum contribution limit. Tier 2 - The Tier 2 account is a voluntary saving account (Investment account) where the investors are allowed to withdraw their funds before retirement. The minimum contribution under tier 2 account is Rs. 2000 per annum. There is no tax benefit applicable for tier 2 account. It is essential to have an active tier 1 account to open a tier 2 account. Active Choice- Under the Active Choice, the investor can choose the proportion of investment in three asset classes by his own. However, the PFRDA does not permit to invest more than 50% in Equity class. Auto Choice- Under the Auto Choice, the allocation in the asset classes is made after considering the age of an investor. The higher the age of the person the lower is the investment allocation into equities. As per the PFRDA rule, the investors are not allowed to switch from one pension fund to another within a year. Retirement is one of the important part of a person’s life, therefore, an investor should select a right fund manager to earn good returns on his investments in the NPS scheme. In addition to choose the right fund manager, an investor should also decide the asset allocation based on his risk taking capacity. The risk profile of an investor is broadly categorised such as Aggressive Investors, Moderate Investors and Conservative Investors. The performance of the NPS scheme depends on the performance of the three asset classes - Equities, Corporate Bonds and Gilt Funds. However, a younger investor below the age of 35 should have a larger corpus of their NPS in equities as equity investments can generate higher returns compared to bebt funds in the long run. The risk-bearing capability of younger investors is usually high than the people in the middle age and old age group. However, an investor who wants to play safe can reduce their portfolio holdings into Equities. They can put a larger proportion of their NPS portfolio into Corporate Bonds and Gilt Funds.